The term compete comes from the Latin competere meaning “to strive together.” When I first saw this definition I was taken aback. I always viewed competing as striving against someone else. But, as I have learned from my journey of learning this year on strategy, it is all about making sure every individual on our team or staff understands his/her role working toward the vision/mission. The analogy I like to use is a football team. For a defense or offense to be successful every player has to execute his ROLE. But, before he can execute this role, he must know what his role is (eg. who to block, what route to run, et cetera). It drives me absolutely nuts to be watching a youth football game and the coaches say, “Just hit somebody!” No! That’s absolutely wrong! The young men must know who they are supposed to hit, and where! Think about it…Does everyone on your team know what their role is? 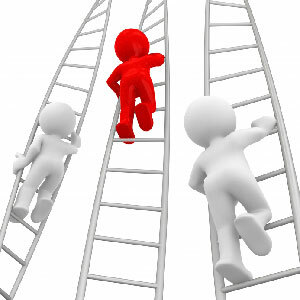 Competition involves striving together and reaching for higher levels of performance. Those higher levels of performance are directly related to your insights for providing your stakeholders with differentiated value. There are three competitive conditions we find our schools, businesses, and organizations in: leader, challenger, or spectator (Horwath, 2014). The leader is systematically looking for audatious ways to change the way our world looks at current products, services, education, or organizations. Additionally, the challenger creates ways for people to use and become part of what the leader has created, transformed, or innovated. Finally, the spectator sits back and watches it all happen. The spectator is probably acting out of apathy or status quo (Horwath, 2014). As leaders, lets make sure we are enabling our team members to understand their role in the strategic plan. In other words, lets coach our team to compete, strive, and reach it’s full potential! Horwath, R. (2014). Elevate: The three disciplines of advanced strategic thinking. Hoboken, NJ: John Wiley & Sons, Inc. This past weekend as I was re-reading Leverage Leadership I was struck by the analogy used of yellow flags used on beaches. 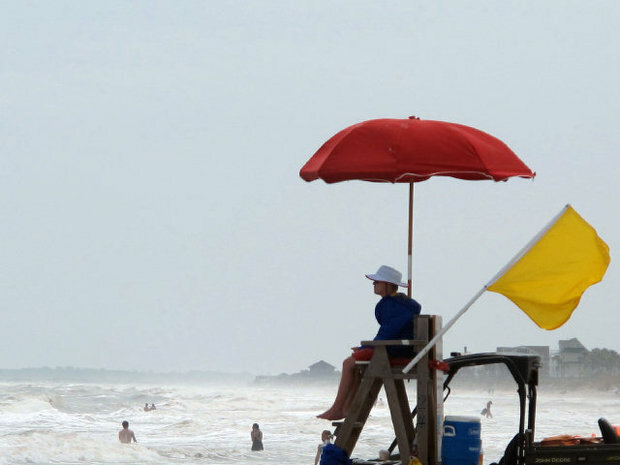 The section of the book was, “Early Warnings, Yellow Flag Strategies.” As we know, a yellow flag means the potential for rip currents or danger exists. Well, as you know, I love the beach and I have always noticed that very rarely is there a green flag flying. The green flag signifies calm seas and no threats. This is rarely ever true with oceans, or our classrooms and schools. There is always the threat for riptides or something to go astray. In the ocean if caught in a riptide it is very specific what you do. Riptides (properly called rip currents because they are not actually a tide), are long, narrow channels of water which move from shore to sea and can take you with them as they go. 80% of all water rescues are because of riptides and claim over 100 victims per year. If you get caught in a riptide, here’s what you do: Don’t panic. You will feel like you are getting swept out to a deserted island, but most riptides go away in 50-100 feet. Don’t swim against the rip. No one is strong enough to swim against the riptide and this exhaustion is what causes most deaths. Swim parallel to the shore. You want to swim perpendicular to the rip current. In 20-100 feet you will be out of the current and you can swim at an angle away from it towards the shore. Similarly, strategies should be employed when teachers are continuing to struggle, and the standard observation and feedback cycle needs additional structure. Author of Leverage Leadership, Paul Bambrick-Santoyo points to the following as “Yellow Flag” strategies: provide simpler instructions and techniques (bite-sized, as John Wooden would have called them), give face to face feedback more often (face to face makes the difference), plan an immediate post feedback observation, arrange for peer observing, and choose interruptions of the person you are coaching with care. Desire alone will not help you improve a struggling teacher (or team member in any industry/organization). You need effective systems and approaches that can be put in place immediately for teachers (or team members) who need them. Really, when you think about it, these “Yellow Flag” strategies can be applied to any field; not just education. As leaders we must always be watching (awareness) for those where our feedback/coaching just isn’t helping or they just need extra help. Think about the last time you were trying to swim out of the figurative rip current! Let’s all try to be better leadership lifeguards!